Hi – My name is Richard Gawel. I am a consultant taster and blender for a number of Australian olive oil companies, both large and boutique. I’ve been a long time appointee as Presiding Judge of most of the major olive oil shows including the Royal Adelaide, Royal Perth, Royal Canberra and the Australian National Show, and internationally at the New Zealand National and Los Angeles International Extra Virgin olive oil shows. I headed Australia’s first International Olive Council recognized export tasting panel since its inception in 1997 until 2006. I regularly conduct nation-wide industry seminars and workshops in basic and advanced olive oil tasting, blending, and olive oil show judging. 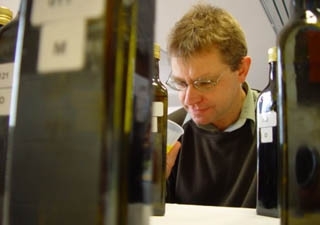 Lastly, I am a member of Technical committee of the Australian Olive Association and have published a number of scientific papers on olive oil assessment.